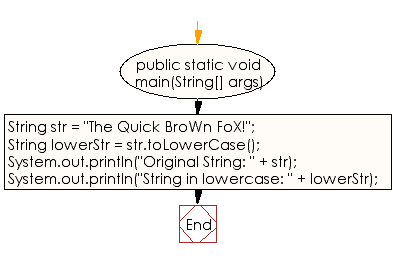 Write a Java program to convert all the characters in a string to lowercase. // Convert the above string to all lowercase. 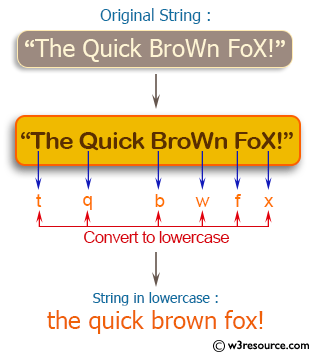 String in lowercase: the quick brown fox! Previous: Write a Java program to create a character array containing the contents of a string. Next: Write a Java program to convert all the characters in a string to uppercase.